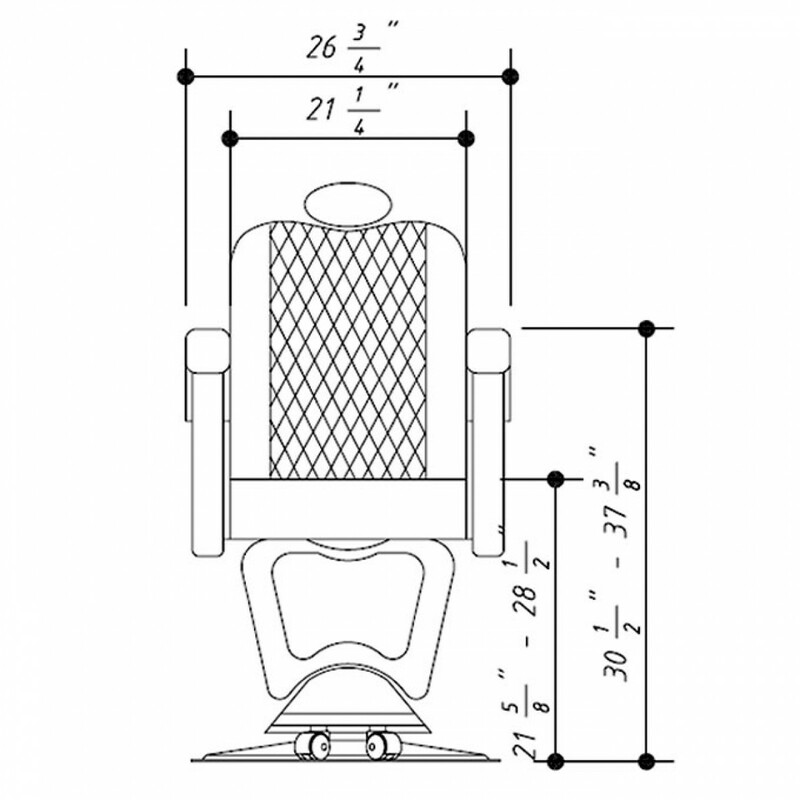 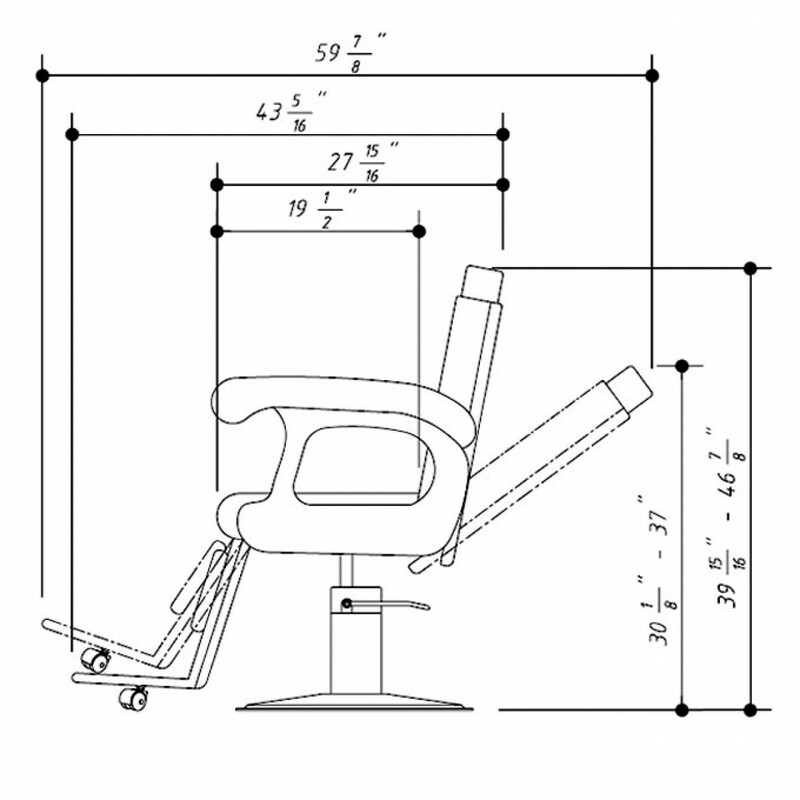 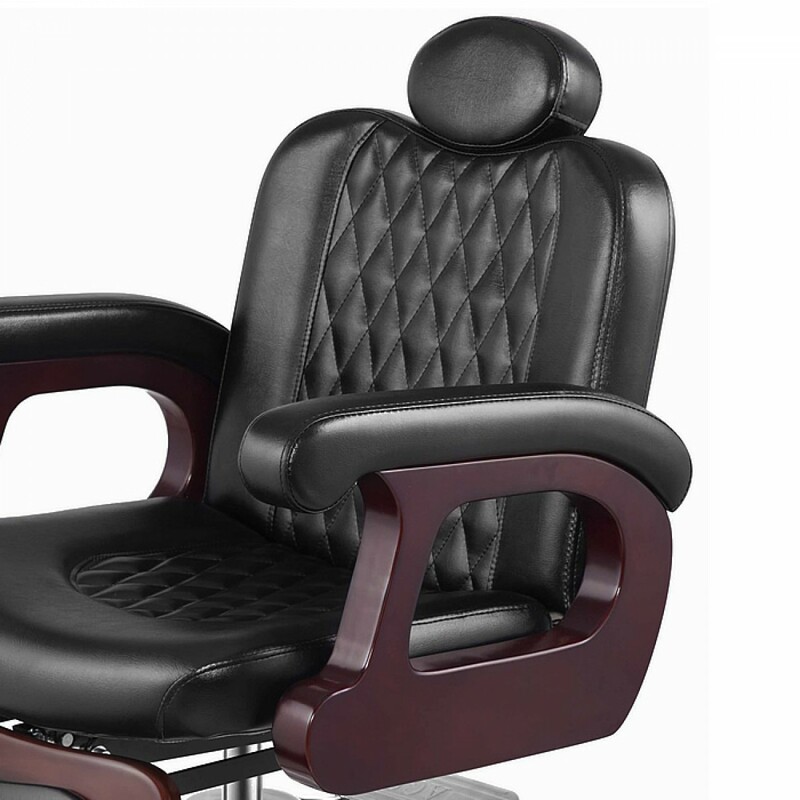 This barber chair has countless features. 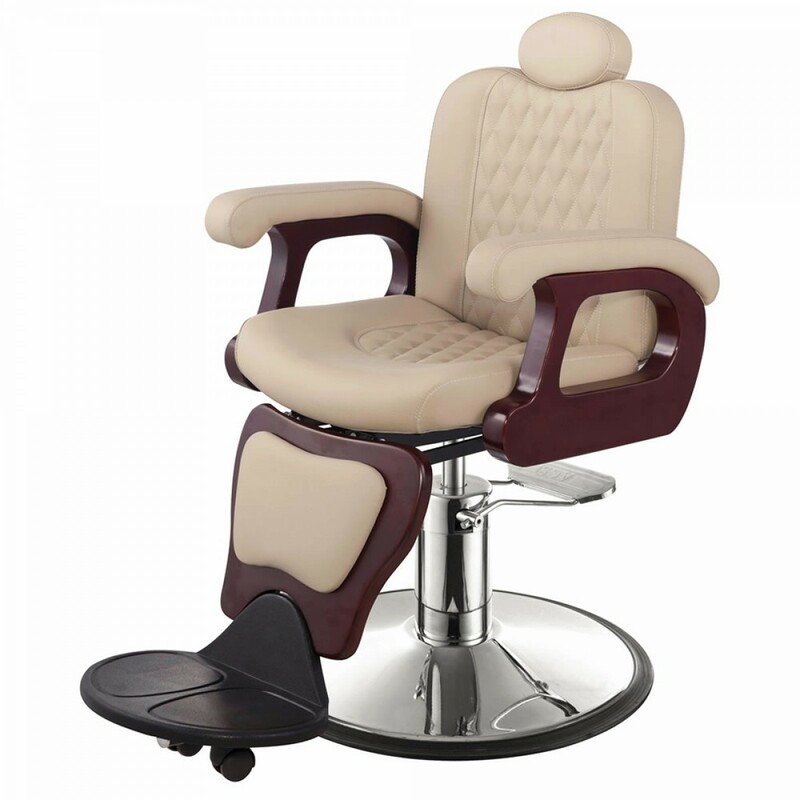 To start off, it has high density memory foam for padding and contoured seat that will ease the customer into this chair. 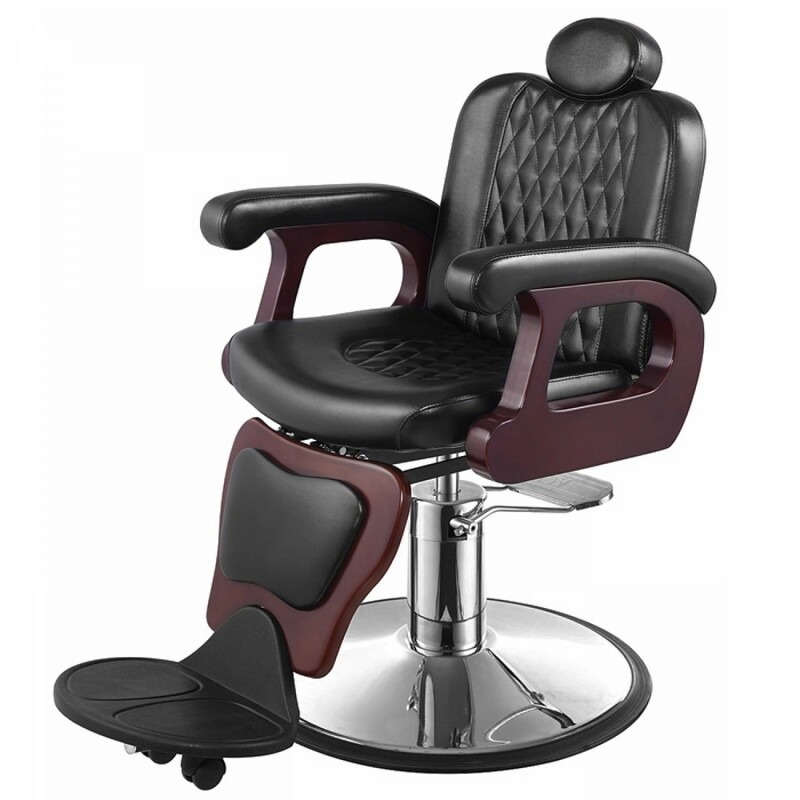 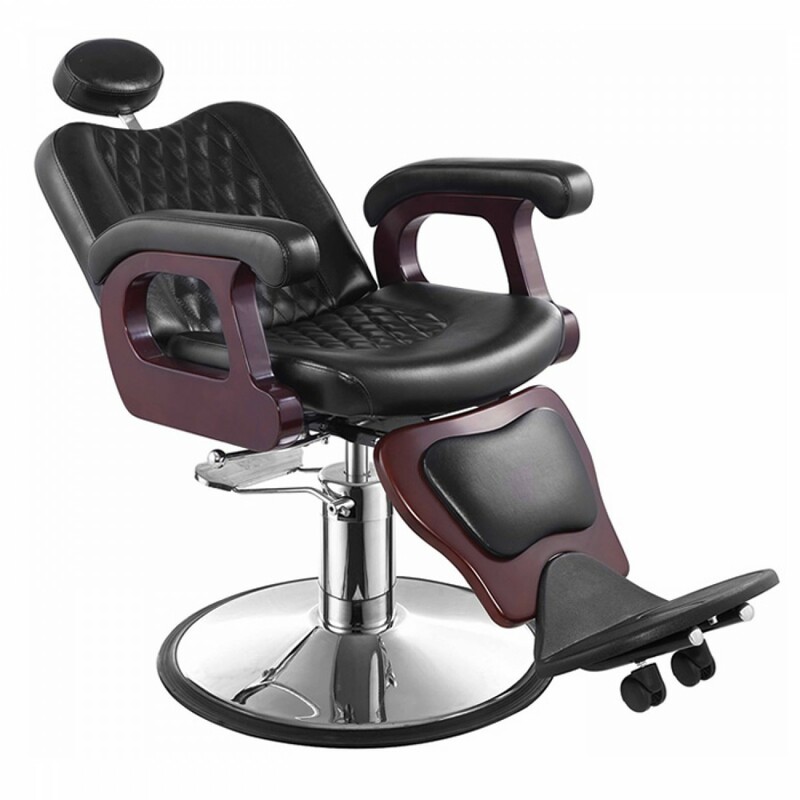 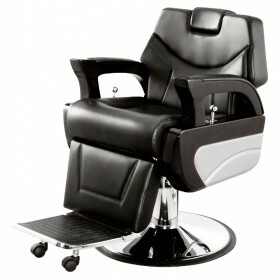 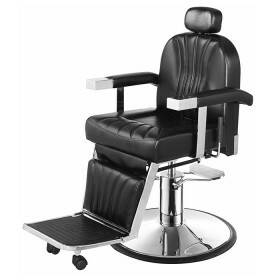 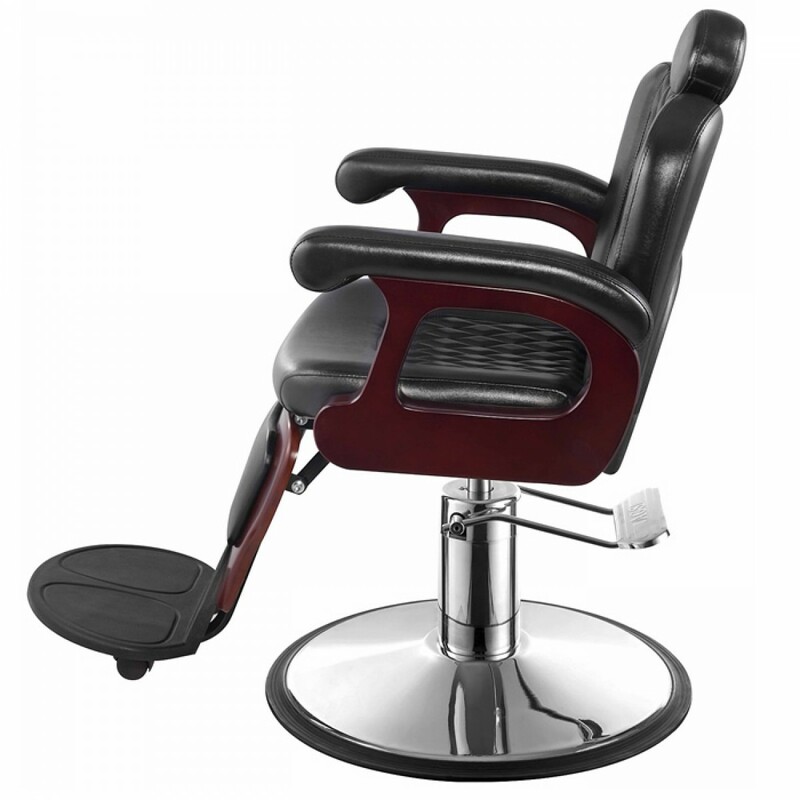 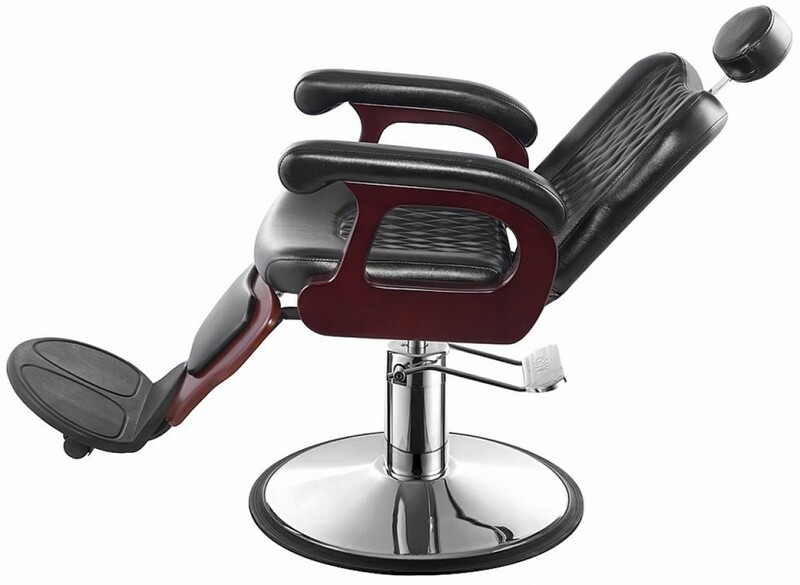 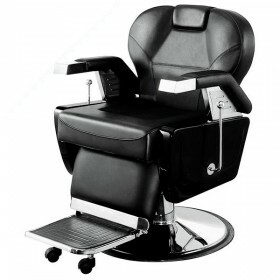 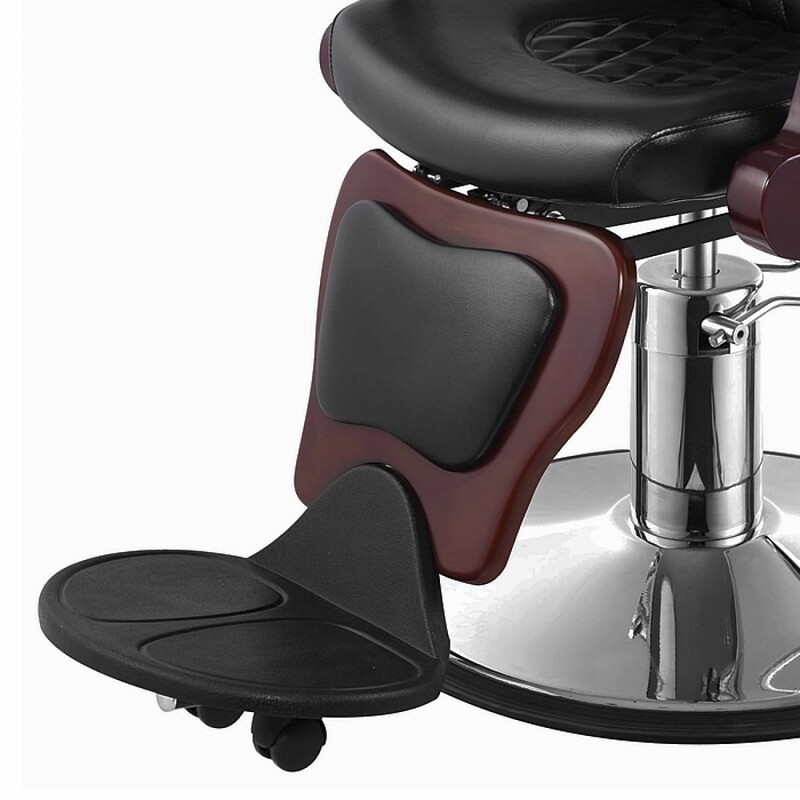 Hairdressers can position customers easily with reclinable back, adjustable headrest, and heavy duty hydraulic pump. 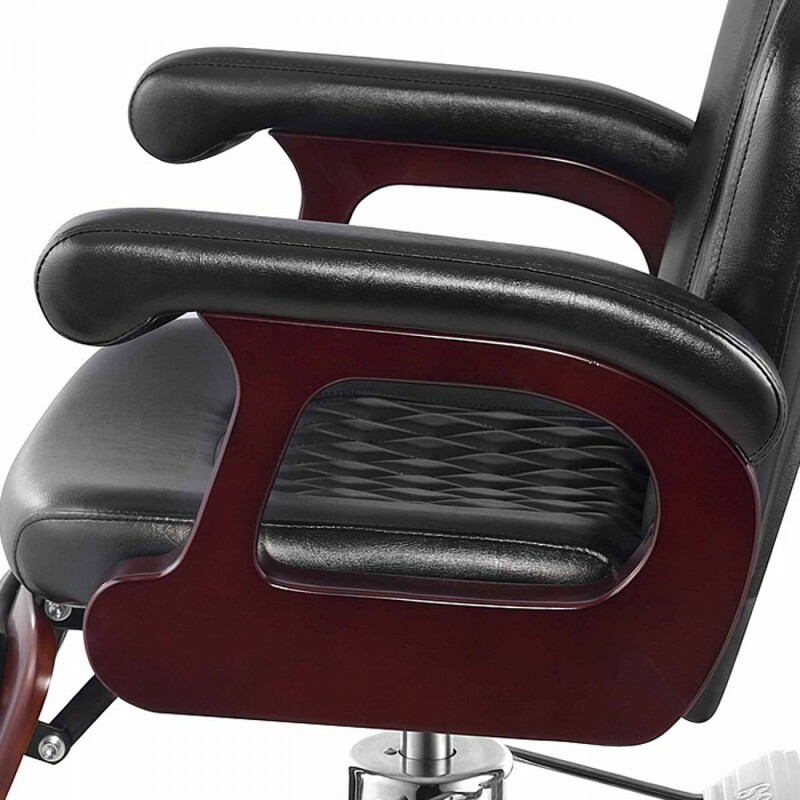 The "SENATOR" has a retro inspired look yet updated by ultra smooth upholstery, wood details and quilted detailing. 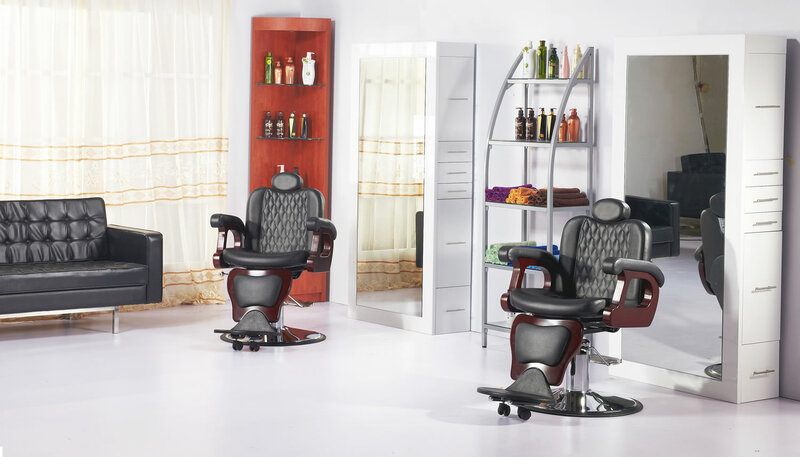 If you are wanting a traditional barbershop or modern environment? 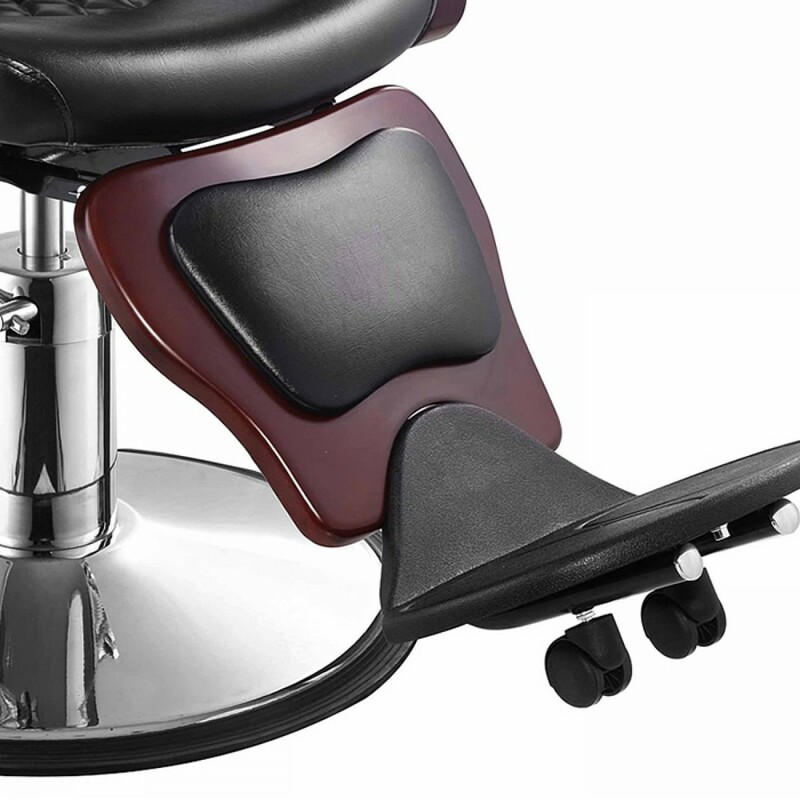 This chair is it for you since it can play both parts. 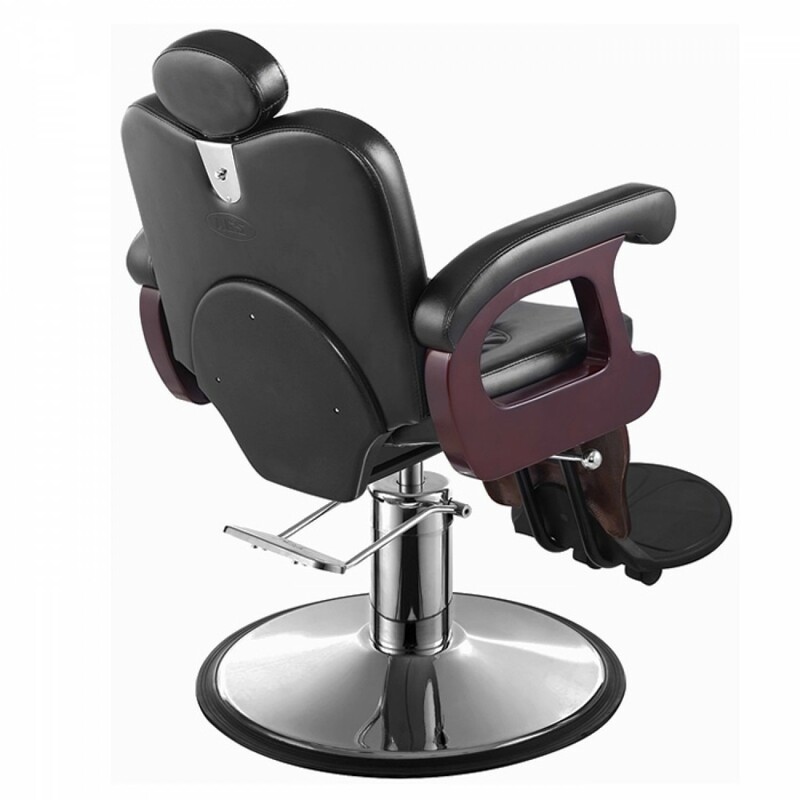 - The armrests and the front panel of this chair are produced with lacquer finish, which is prone to chipping and scratching. 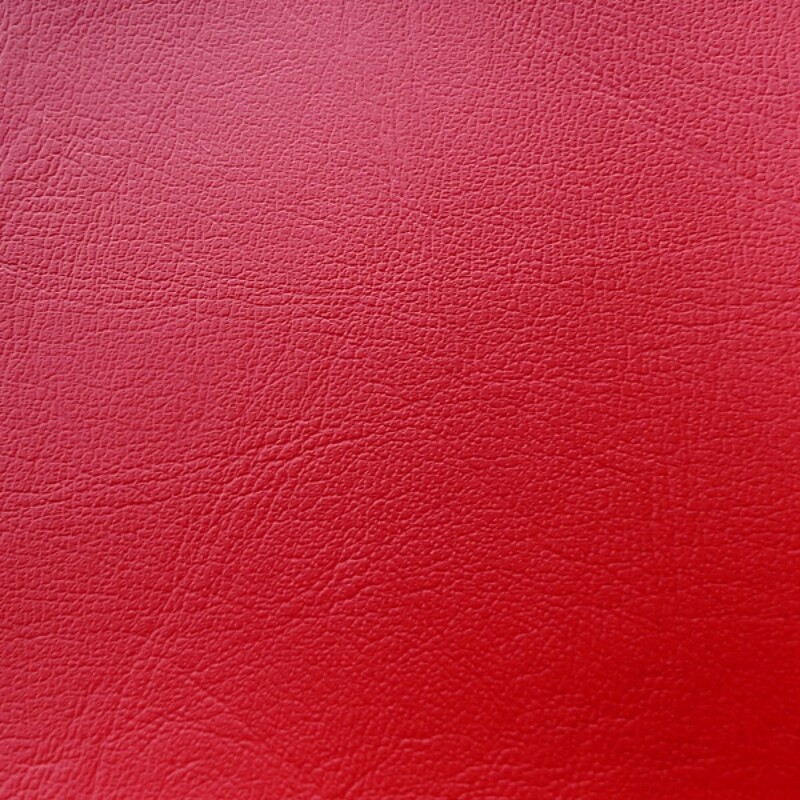 This is the innate nature of lacquer material and it's not covered by warranty after the product is put into use.